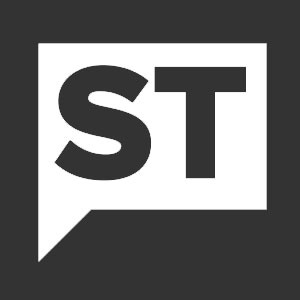 Tech start-up NativeERP, today announced it has completed a $2MM round in seed funding led by Chicago based FL Finance, LLC. The company says it plans to use the funding toward continued product evolution, national expansion and hiring of key team members. CHICAGO, March 25, 2019 /PRNewswire-PRWeb/ -- NativeERP is an enterprise resource planning (ERP) solution for the entirety of the Real Estate industry, built on the #1 customer relationship management platform, Salesforce. The NativeERP solution supports all verticals of the Real Estate industry from property management, retail to residential, and private equity to public REITs in a singular purposefully designed solution. "Today, success is ultimately driven by ensuring that your customer is at the center of every decision you make," stated Adi Argov, CEO of NativeERP. "The problem is that legacy software solutions are rather antiquated and do not allow the flexibility to manage the complete lifecycle of your customer or the various aspects of your business. Simply put, we enable you to engage with your customer; accelerate growth from the inside out, streamline lease or acquisition closures, and ensure you have a competitive advantage with real-time insights". NativeERP works with individual Real Estate businesses to tailor a unified platform that is inherent to each business demand and need. The solution offers granular-level visibility, offering stakeholders insight into what changes are being made with each event and expands perceptibility on a broader scale. Whether it's for external compliance, audits, or business insights, NativeERP offers a substantial archive of data to identify patterns and visualize trends to improve your business.